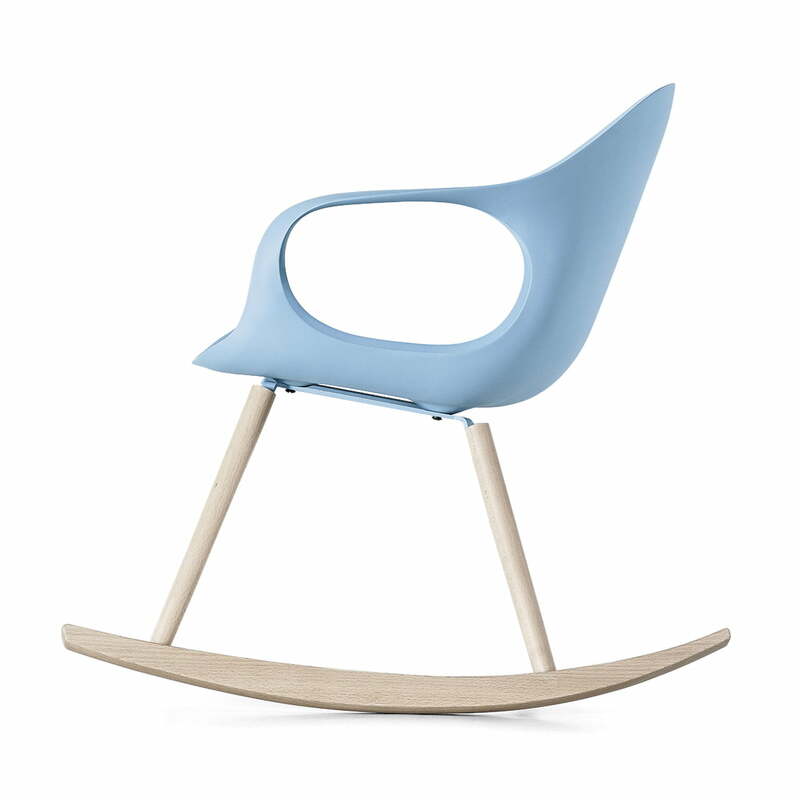 The Elephant rocking chair is an excellent design by Neuland Industriedesign. Originally with leather upholstery and a chrome-plated frame, the Elephant chair as a rocking chair brings new momentum in your own four walls. The wooden frame of the elephant Chair is made of solid, turned beech or oak wood. Naturally beautiful or with a painting that matches the colour of the seat shell, the frame is available in different versions. 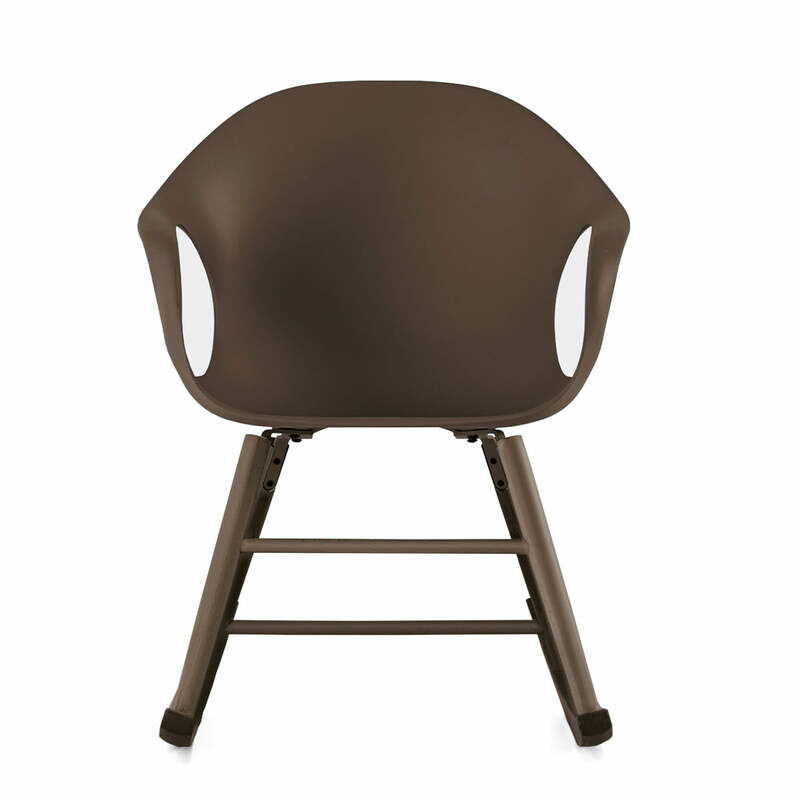 The base is completed by the seating shell of durable polyurethane or a leather cover in natural colour or black, which is made with handicrafted stitching. A reinforcement of ribs shines through the leather and reminds of the strong backbone of the elephant and therefore gives the chair its name. Single image of the Elephant rocking chair with sturdy seat shell made of polyurethane in white with natural European oak frame. A modern rocking chair for cosy hours at home. 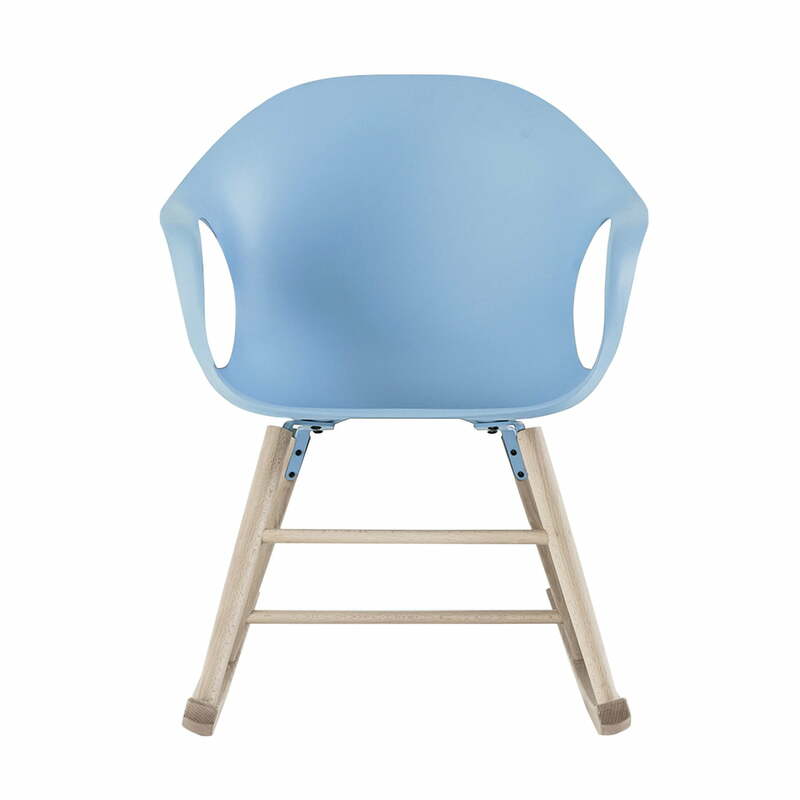 Single image of the Elephant rocking chair with sturdy seat shell made of polyurethane in light blue with natural European oak frame. A modern rocking chair for cosy hours at home. Single image of the Elephant rocking chair with sturdy seat shell made of polyurethane in light blue with natural European oak frame. A comfortable chair for your children’s room. Single image of the Elephant rocking chair with sturdy seat shell made of polyurethane in dark brown with natural European oak frame. 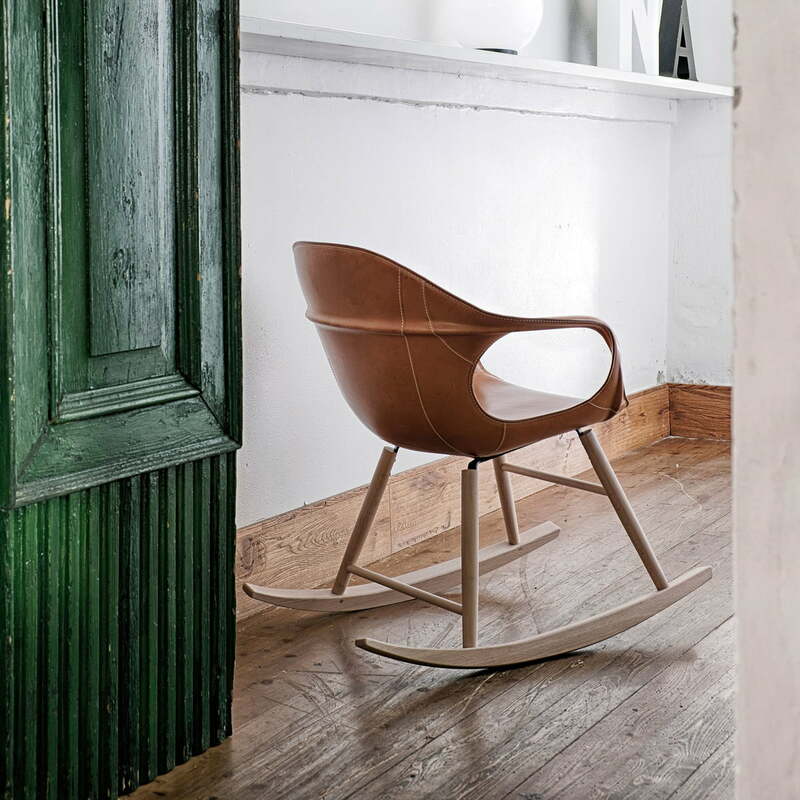 A modern rocking chair for cosy hours at home. 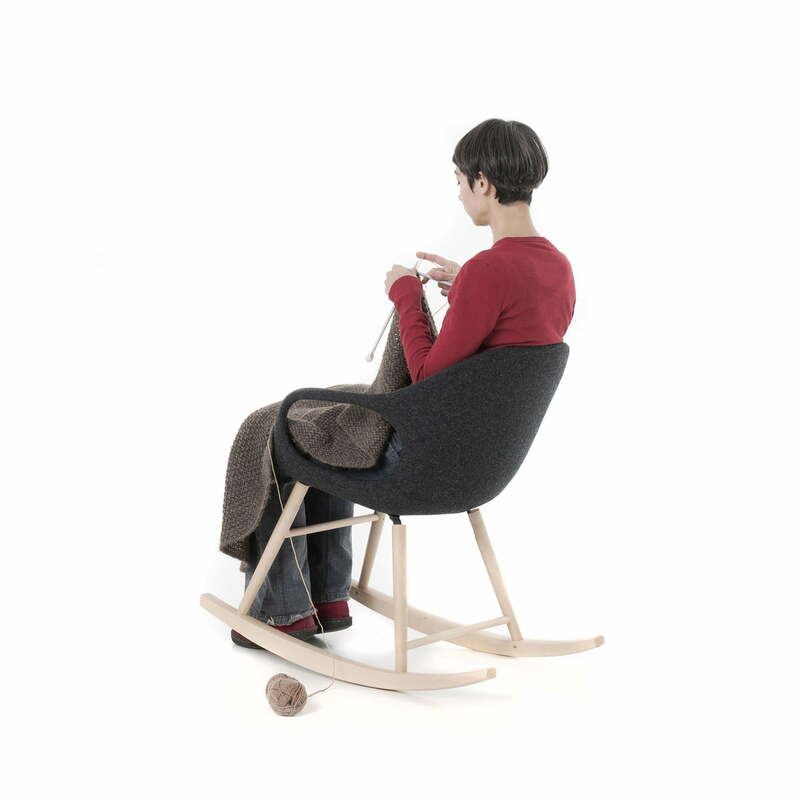 Comfortably back and forth rocking and knitting at the same time, read or just relax - with the Elephant rocking chair new momentum and cosiness come into your home. 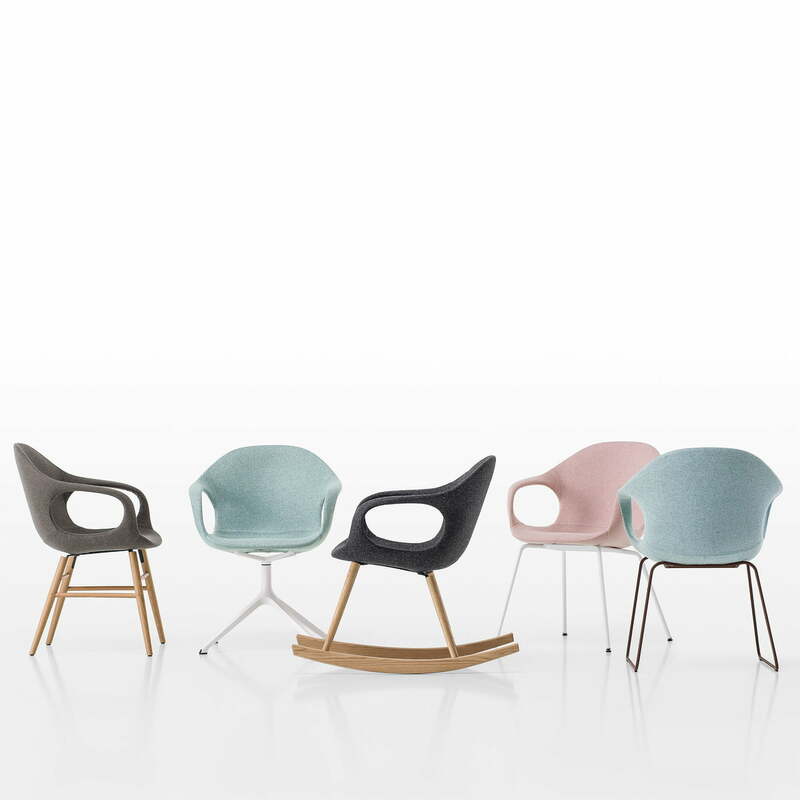 The Elephant chair series by Neuland Industriedesign for Kristalia gathers different chairs that can be individually configured with different bases and seat shells. A modern rocking chair with leather cover. 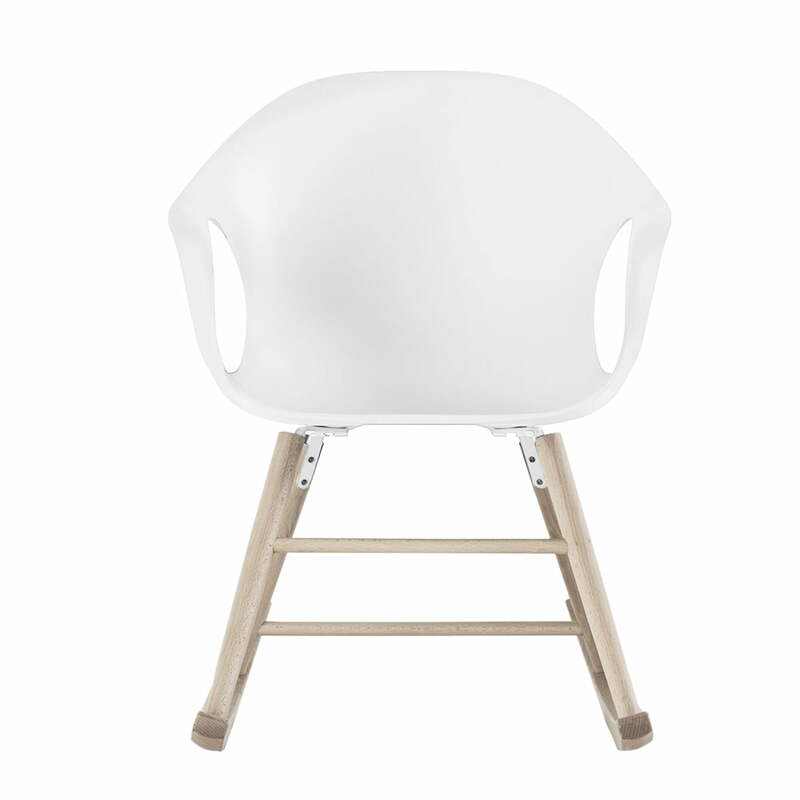 A modern rocking chair: The Elephant chair by Kristalia with easy-care leather cover. A timeless and modern design by Neuland Industriedesign for Kristalia. 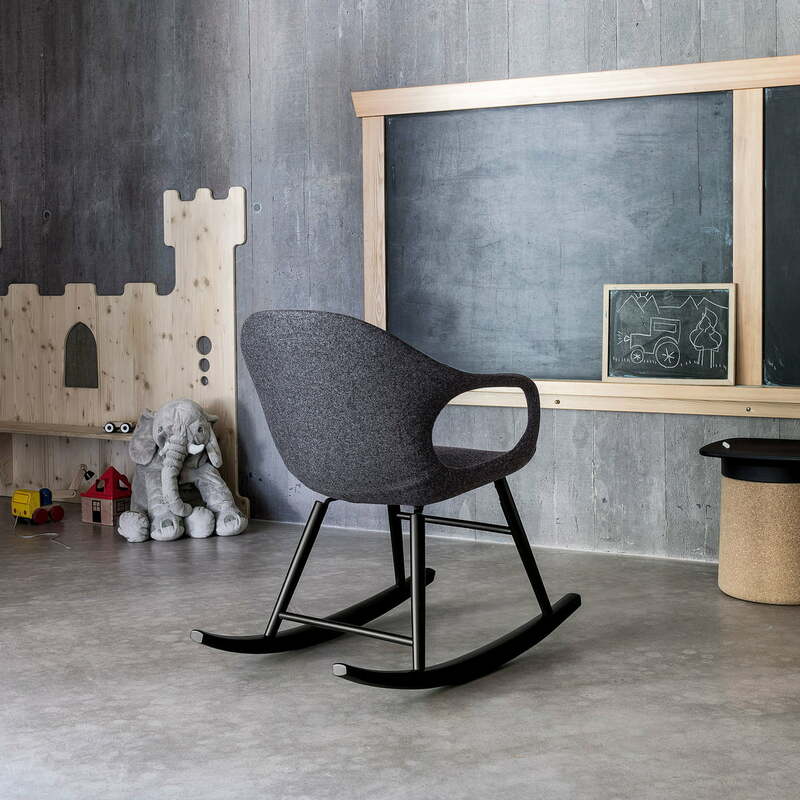 In the monochrome design with matching base and seat shell the Kristalia rocking chair is especially suitable in the nursery. A modern rocking chair to lean back and relax.